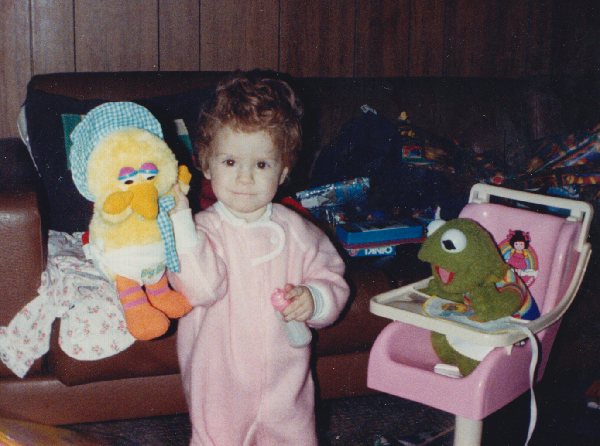 Here’s my little sister playing with her gifts on Christmas morning, circa 1985 — complete with baby Big Bird and Muppet Baby Kermit. Anyone else remember the Muppet Baby theme song? Um, no, just me? I really loved that Saturday morning cartoon.